Alex was left deeply scarred when his beloved Nicolette married his cousin Milo solely in order to bear the son who would fulfill the terms of her inheritance. Now, nine years later, Nicolette is still childless and Milo debilitated by wine sickness. Explaining that he and Nicolette will be homeless and destitute if she doesn’t produce an heir within fifteen months, Milo begs Alex to seduce his wife, sire a child, then disappear. It is an indecent but irresistible proposal, sweeping Alex and Nicolette into a firestorm of forbidden desire. 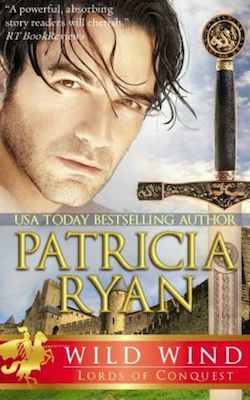 Wild Wind was a Waldenbooks “Star Pick” and was nominated by Romantic Times for Best Medieval Historical Romance.